A homeless organization proposes to set up lockers for the homeless in Copenhagen but spokesman of SAND (The Danish National Organization for the Homeless People) doubts the effectiveness of this initiative in dealing with the core problems of homelessness. Here is my test story. 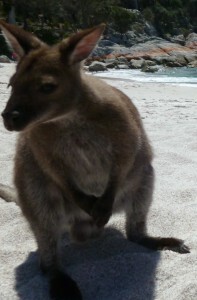 It has a wallaby as its image in the body text. Since Romania entered EU in 2007, 14,000 doctors have left the country. The brain drain brings the healthcare system in a critical situation with unstaffed hospitals, limited access to treatment and difficulties with improving the system in general. Since Romania entered the EU in 2007, 14,000 doctors have left the country. The lack of specialists leaves Romania with unstaffed hospitals, limited access to treatment and makes it difficult for the country to take advantage of EU funds. Far from Bucharest, the small municipal hospital Slatina is located. The hospital has capacity for a total of 359 employees. At the moment, only 160 people are working there, which means that 199 positions are not covered. The doctors that remain in the hospitals need to cover those areas which are not covered. Tigran Martikian graduated as a doctor in Bucharest in 2013. He recently decided not to continue working in Romania. 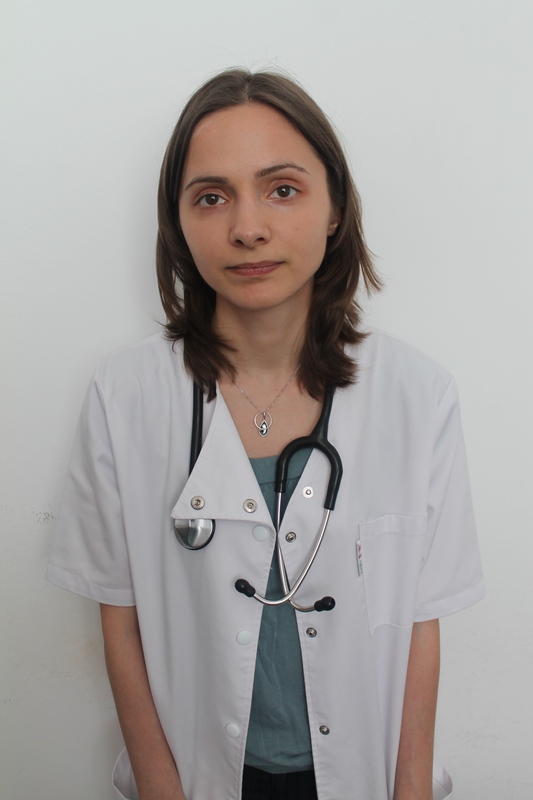 The young doctor experienced how the pressure affects the environment in Romanian hospitals. “Doctors yell and curse each other and curse patients. It’s not an environment I want to work in,” Tigran Martikian says. The situation in Romania is now so bad that some areas only have one specialist for 1.000.000 inhabitants. The main problem of the health system in Romania, is the lack of specialists, according to Petru Melinte. He is a public servant at the Ministry of Health in Bucharest. He calls the Romanian health system a vicious circle. “We don’t have enough specialists to define good projects to the EU, and therefore we don’t receive enough money from EU funds. If we don’t receive enough money, we can’t improve the health system and then more doctors will leave,” he says. Since Romania entered the EU in 2007, 14,000 doctors have left the country, and a recent investigation support the negative trend. It shows that 400 doctors submit applications every month to the Ministry of Health to work abroad. The main reasons why they leave to Western countries are the low salaries, the bad infrastructure and the lack of medical equipment In Romania. Tigran Martikian is now persuing a medical career in Sweden and wants to specialize in general surgery. As he sees it, there is a lot of things wrong with the medical system in Romania. “I experienced the lack of resources myself. Bandages, antibiotics and vaccines. People can be bit by a dog, and we aren’t able to help,” Tigran Martikian says. Romania could have had 20 billion Euros to develop the country in general, but they only defined projects for six billion Euros in the last EU budget for 2007-2013. In fact, Romania received the least amount of money of all countries. Other countries like Bulgaria, Greece and Poland managed to complete more projects applications and therefore received a significantly higher amount of money from the EU fund. Based on the amount of money, Romania managed to obtain from the last EU budget, it seems that Romania simply aren’t competent enough to take advantage of the EU funds. According to Prof. Dr. Vasile Astarastoae, president of the Romanian College of Physicians, European politicians are hypocrites for not dedicating an exact amount to improve health in the former budget. “When European politicians allocated the funds, they proved that they are hypocrites, because health care wasn’t really a priority for them,” he says. Although the professor concedes that specialists in Romania applied inefficiently for the EU funds, he also thinks that the EU administration, which is responsible for processing the applications was chasing the smallest mistake they made. It’s not a question of the EU discriminating Romania and tearing apart their applications, Mads Dagnis Jensen believes. 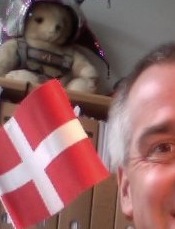 He is a researcher at the University of Copenhagen with a Ph.D. in comparative politics and EU studies. According to him, an application for EU funds can be quite a piece of art. To achieve funding, the applications have to be on a high professional level and the requirements are manifold and complicated. “You often hear accusations against the EU concerning discrimination. It’s absolutely essential that these countries focus on finding the reason why these applications aren’t being approved, and stop accusing the EU,” he says. The Romanian health system is considered one of the worst in Europe. In 2009 the Romanian Government only used 3,2 percent of the GDP in health care – the lowest percentage in nine years and about half the EU average. Today Romania still allocates the least amount of GDP on health, less than 3 percent, while the EU allocates between 5-6 percent of GDP, numbers from the World Health Organization show. “In the 90s all the Governments declared that healthcare was a high priority for them but none of them invested properly in health, education and research,” Prof. Dr. Vasile Astarastoae says. “One is that at least 40 percent of the population is uninsured, and it is important to raise that number to get more money in the national health budget. On the other hand the government has to be better to use the EU funds in health,” he says. In the new budget for 2014-2020, the EU has allocated money to build at least two regional hospitals in Romania. One in Iasi and one in Craiova – hospitals outside Bucharest. According to Alexandru Rafali, the World Bank has granted some funds for the purchase of medical equipment. The government’s intention to invest more in the healthcare system, doesn’t calm Tigran Martikian. According to him, people in Romania have lost any trust in the government. This doesn’t make it particularly attractive to pay taxes. “I don’t see any changes. If you listen to old doctors, they will tell you they believed things would change when they were young. But nothing has changed,” he says. The free movement of individuals in the EU has made it possible for Romanian doctors to get jobs in other member states with better working conditions and higher wages. Although it leaves Romania with fewer specialists, unstaffed hospitals and limited access to treatment, Mads Dagnis Jensen also sees the positive effect of this for Romania. “Some doctors might return to Romania with new important knowledge from a modern European hospital,” he says. Mads Dagnis Jensen believes that to improve the health system in the country, one solution could be to hire agencies to help specialists take advantage of the EU funds. “Even in Denmark you started hiring consultants from Dutch agencies, with an expertise in taking advantage of EU funds, because it is such a difficult procedure,” he says. According to Mads Dagnis Jensen, the Ministry of Health in Romania could allocate funds to hire these consultants to help specialists write the applications. 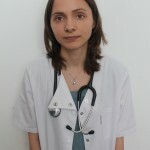 A young doctor in Romania starts with a salary of 200 Euros per month while an experienced doctor can advance to a salary of 300-350 Euros. In other EU countries Romanian doctors can earn almost ten times more. The low salaries are the main reason, why immigration of doctors is so high at this time. The government is discussing raising doctor salaries with 5 percent, but according to Alexandru Rafali salaries should be increased significantly more. “In my personal opinion, we have to discuss a minimum salary of 1000 Euros. I think it is realistic,” Rafali says. Alexandru Rafali estimates that it will be possible to raise doctors salaries significantly in two or three years. According to Tigran Martikian the low salaries have other negative consequences. The doctors earn so little, they can’t survive without accepting bribes from patients. “At first as a young doctor, you think ‘I’m never gonna do that’, but eventually everybody does it. If you don’t you might get weird looks from colleagues. Like you are better than them,” he says. 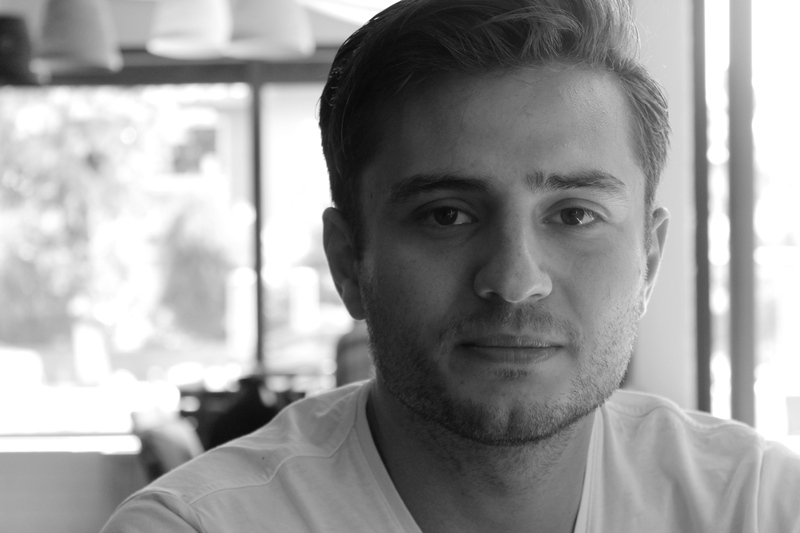 Tigran Martikian left just one week ago to start a medical career in Sweden. If the conditions change, he will consider coming back to Romania. Regarding a significant raise in doctors salaries, he is not optimistic. “It’s impossible. There are so many problems with the Romanian economy. 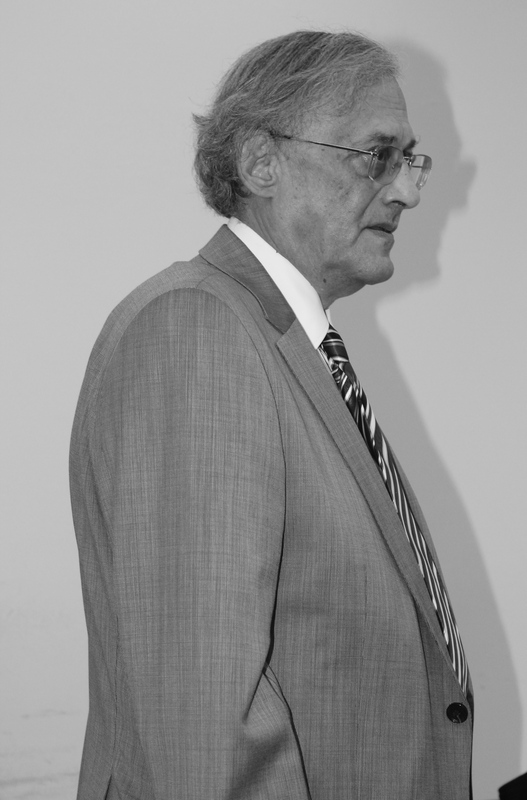 We have less bridges than Bulgaria,” Tigran says. Prof. Dr. Vasile Astarastoae believes that the bad situation in Romania has pushed the government to step into action. Furthermore, he is optimistic about the health education in Romania, which performs on a high level. Concerning the speed of doctors leaving the country, the professor is worried. “If migration of doctors continues in the same speed as now, it will lead the health system in Romania to collapse,” Prof. Dr. Vasile Astarastoae says. Brain drain is a phenomenon well known in European countries, especially in poorer member states, the salary can’t compete with the average level in Europe. In particularly young doctors look elsewhere to find jobs with better salaries and working conditions. In the National Institute of Infectious diseases we meet the three physicians: Lăpădat Irina, Gliga Smaranda and Niculescu Iulia. 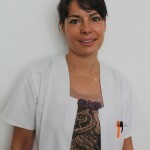 Although the institute and hospital is one of the best in Romania, the three physicians still want to leave the country. 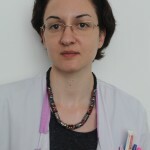 Lăpădat Irina. Resident physicians at Matei Bals.